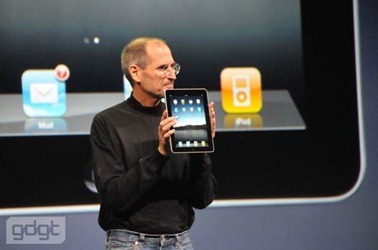 Stephen Fry – the comedian, actor, novelist, Guardian Technology columnist, blogger, cricket fan, and all-around fantastically brilliant person – has a great blog post up with his initial thoughts on the iPad. He was one of those fortunate few who were at the iPad launch event last week and got a chance to give it a spin after the presentation. … could they not see that this device was gorgeous, beautifully made, very powerful and capable of development into something extraordinary? 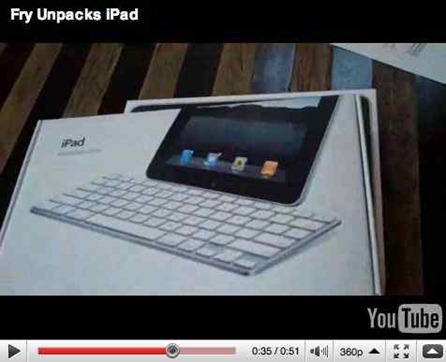 I see those qualities in the iPad. Like the first iPhone, iPad 1.0 is a John the Baptist preparing the way of what is to come, but also like iPhone 1.0 (and Jokanaan himself too come to that) iPad 1.0 is still fantastic enough in its own right to be classed as a stunningly exciting object, one that you will want NOW and one that will not be matched this year by any company.